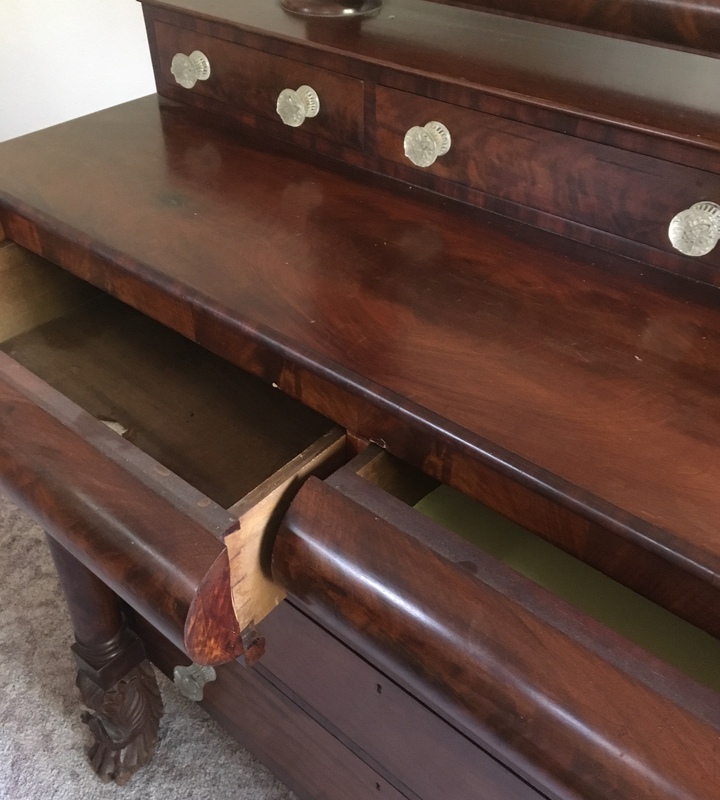 Hi there, I am trying to figure out as much as I can about this dresser. It is 47" wide, 27" deep, 46" tall and the mirror on top is another 26" tall. 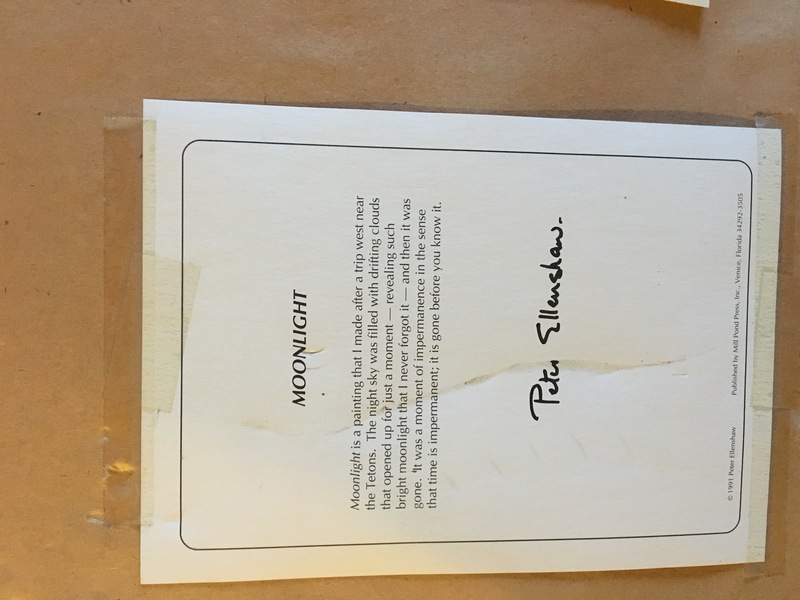 I believe it was purchased in the earlier half of the 20th century in the United States. I am not sure what kind of wood it is made out of. 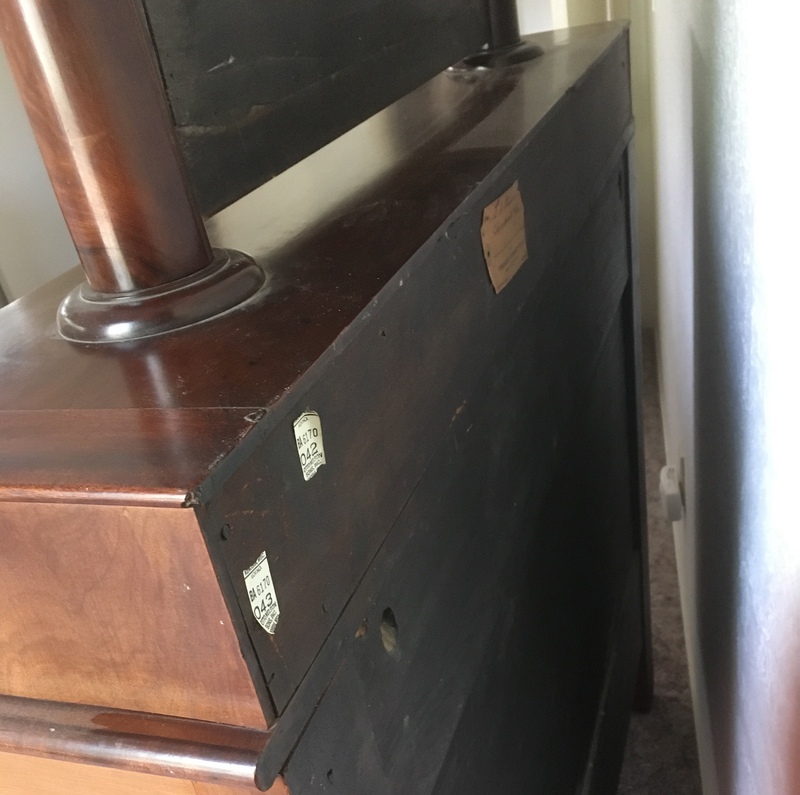 It has three large drawers stacked on the bottom, two more side by side above those (without knobs, you pull them open from an indent below), and three smaller drawers side by side on top. Abover that is a mirror that tilts forward and backward (pivoting from the center). 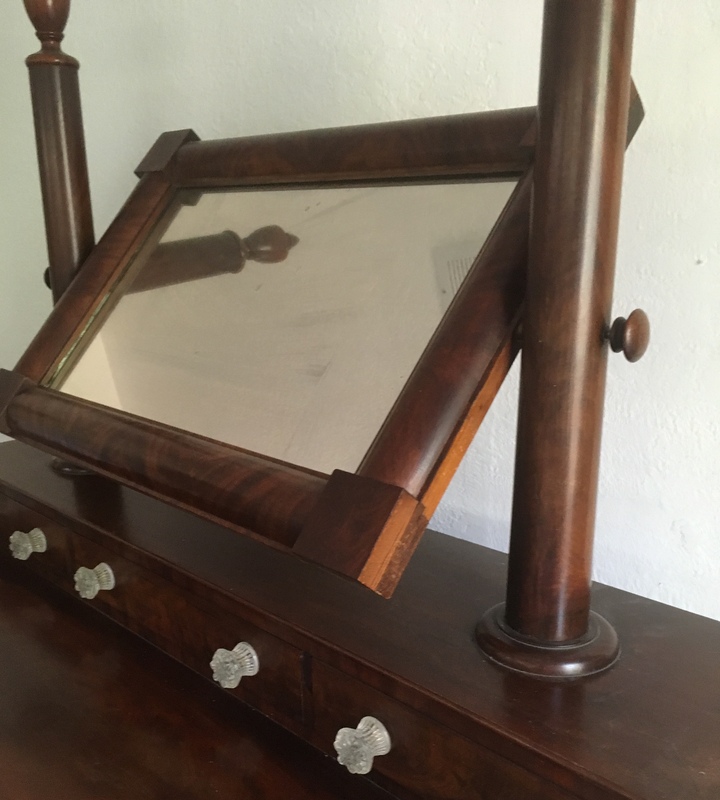 The mirror posts and mirror are removeable for transportation. 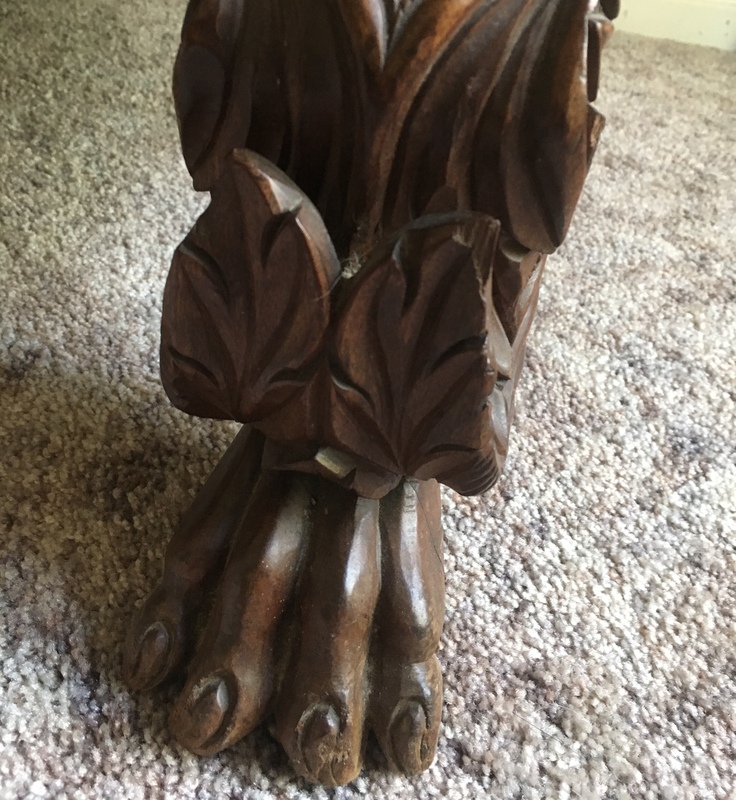 The two front legs have animal toes and feet with a feather decor. 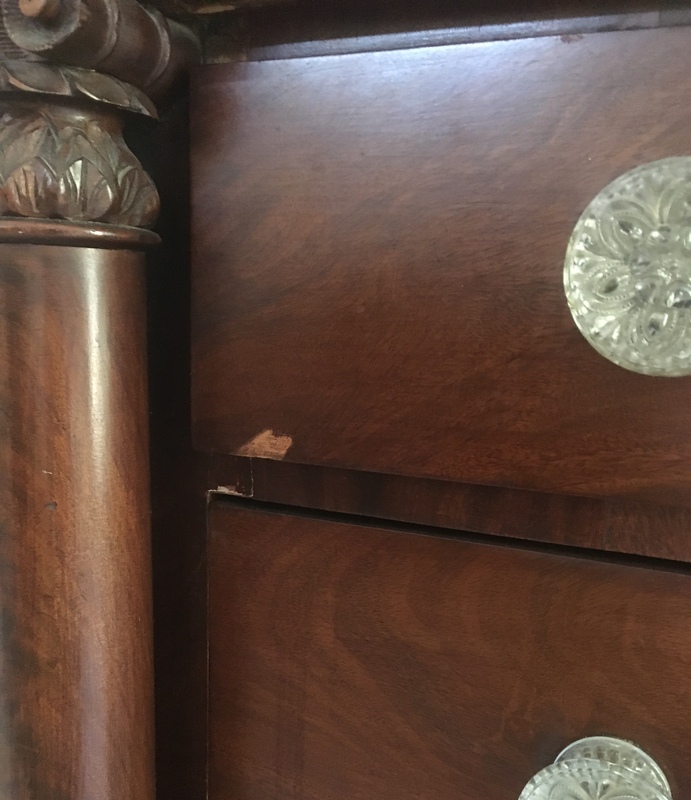 There are a few areas where the wood is chipped, but it is in good condition and functions well. The nobs are original and glass. There are two stickers on the back saying "Otto Nelson Sons, Inc. Kenosha, WISC." One is lot no. BA 6170 043 and the other BA 6170 042. Another tag on the back says, "Fischoff Cabinet Co. Scott Street, South Bend, Indiana". 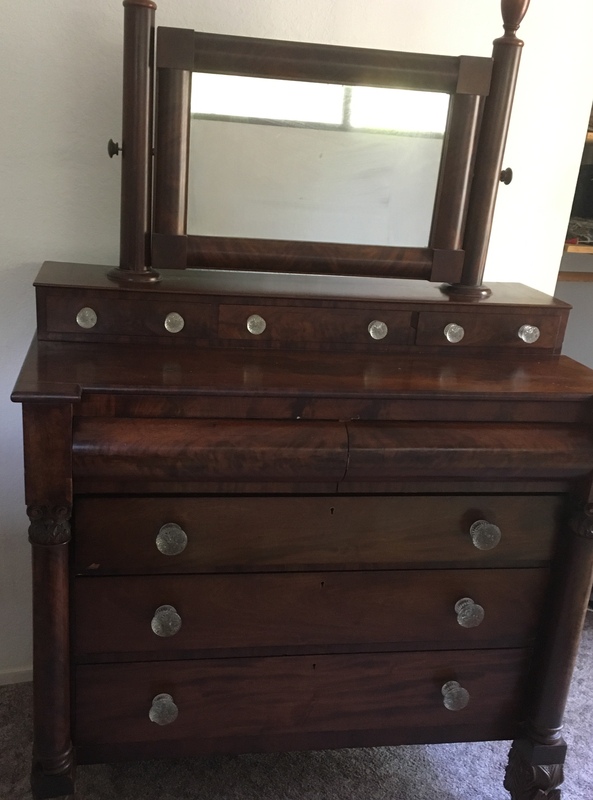 If you know the style, the time period, the wood, how much it might be worth or any other helpful information for me I would really appreciate it. Thank you. Wood. Not sure what kind. I would like to find out. 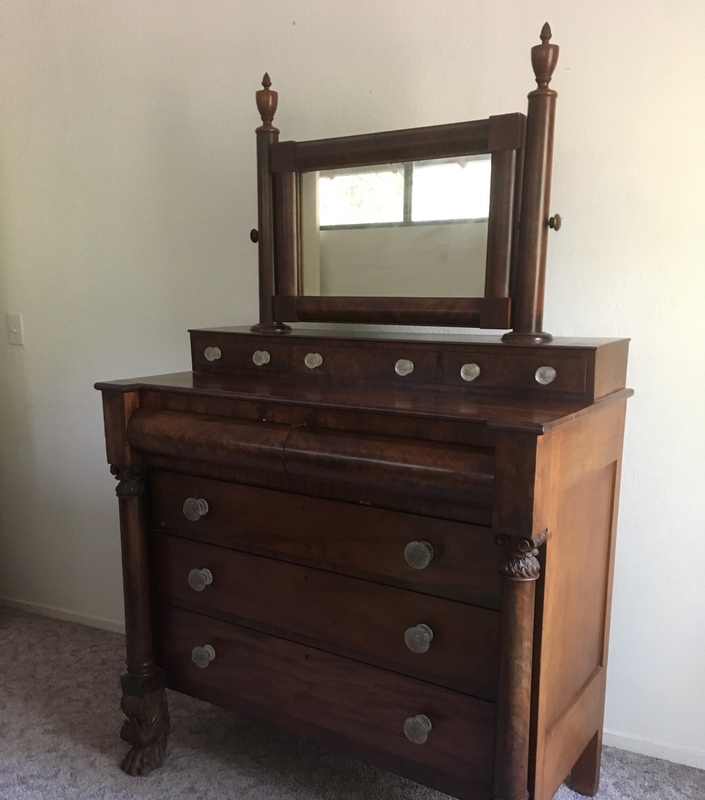 47" wide x 24" deep x 46" tall is the dresser. The posts and mirror on top are another 26" tall. It's in the Empire Style, which first appeared circa 1815 in north America and made right into the 1850's in some rural areas, it was reproduced during the turn of the 19th century as well as "Empire Revival". Can't tell from the imagaes which yours is. In any case the style is not currently popular and even the originals made 1815-40 do not sell well. Most are a mix of mahogany over pine or basswood, the revival pieces tend to use a lot of birch and maple dye to resemble Mahogany. Most comparables now sell at auction under $300.00.